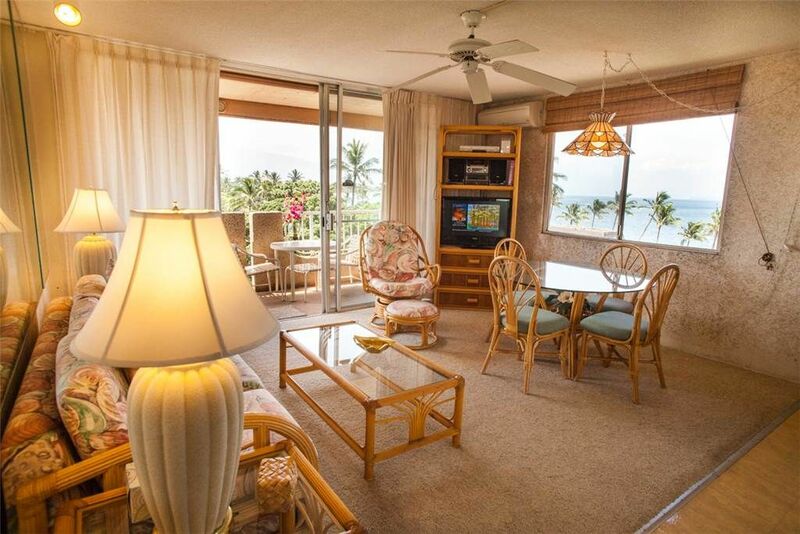 Nani Kai Hale 601 is a 1 bedroom, 2 bath top floor condo with central A / C, light and bright tropical décor and a picture window facing the beautiful Pacific ocean. The kitchen is well equipped for preparing a quick snack or some delicious Hawaiian gourmet meals. The convenient floor plan has two bathrooms.You will enjoy magnificent sunrises over Haleakala from the airy lanai and you are just steps away to stroll the beach and savor breathtaking sunsets. A perfect spot for your Maui Holiday. Older 6 story all units with Landis and partial ocean view. Access to Sandy beach. Close to farmers market, small ABC store, and bakery. Close to major guest junctions. Some traffic noise in upper year unit. The views were awesome! Great amenities. Even had a 4 slice toaster. Loved the condo good size kitchen and bedroom. Really comfortable bed and pillows! Loved sitting out on the lanai watching the ocean. The beach was great loved having the bbqs near the water. And there’s lots of parking and and elevator which was great for grocery’s. Our only complaints were the fan on the roof squeaked for about and hour at a time. We mentioned it to the manager and he said he put some oil on it and it was good for about a day then started again. It just needs to be replaced. Also the bathroom tub in the hallway wasn’t draining.